Maruti Suzuki's one of the largest selling car, Maruti Swift Dzire is now facing a tough competation against newly launched premium sedan cars in India. 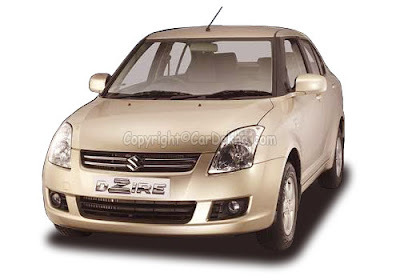 The company launched the all new Swift Dzire on March 26, 2008, is based on the popular Suzuki Swift Platform. The Swift Dzire replaces Maruti Suzuki's popular entry level sedan, Maruti Suzuki Esteem, which was pahsed out in late 2007. The all new Maruti Swift Dzire is available only in the Indian auto market. 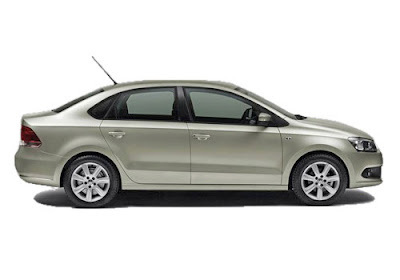 The major auto manufacturer, Volkswagen Auto has recently launched their new entry-level sedan car, called as Volkswagen Vento, which is also based on its Volkswagen Polo premium hatchback platform in the country. After the comprising between Maruti Swift Dzire and Volkswagen Vento car models, We have found that the Vento is more powerful and higher engine capacity than Swift Dzire. The all new Volkswagen Vento is powered by 1598cc, 1.6L, In Line Petrol Engine, which produces a maximum power output of 105 PS at 5250 rpm while generates peak torque of 153 Nm at 3800 rpm. Behind of it, Maruti Swift Dzire is also comes loaded with 1.3L, 85PS AlTec32, In-Line Engine. the powertrain of Maruti Swift Dzire is produces a top power of 85 PS at 6000 rpm and delivers a maximum torque of 113 Nm at 4500 rpm. Both cars Transmission system are available with 5 speed manual system. According to fuel economy, the Maruti Swift Dzire is offering excellent mileage of 12.2 kmpl in city and 17.1 kmp in highway, but Vento is claimed a lower mileage in both ways. The new Volkswagen Vento is additionally packed with advanced safety features such as Anti Lock Braking System, Central locking, Driver Airbag, Passenger Airbag etc. These all safety features are not available in most popular car of Maruti Suzuki. Maruti Swift Dzire has already tested and proofed that it is such a comfy and best performance car in the Indian auto market. But the newly launched sedan, Vento is comes with cutting-dege technology ehich makes it best sedan car in the auto market. lookwise, both cars are perfect and can be attracted the Indian buyers. Volkswagen Auto has not yet announced that the price tag of new Vento car for India, but according to some auto website reports that the Vento is expected to be priced of around Rs. 7 to 9 lakh. After getting lot of comparison about these entry-level sedan cars, we have concluded that Volkswagen Vento can achieve the crown of best sedan car in India. Out of all luxury sedans my favorite is Maruti Swift Dzire which is a perfect blend of power and style.Indians just love Maruti.